The retailer said Thursday that credit cards used in-store at its 370 locations since January may have been compromised. BELLEVUE, WA: Eddie Bauer is getting an assist from Sard Verbinnen & Co. as it notifies customers of a cyberattack on its systems. The retailer said Thursday that credit cards used in-store at its 370 locations since January may have been compromised. The company said in a statement that the breach was part of a "sophisticated attack directed at multiple restaurants, hotels, and retailers, including Eddie Bauer." Payment card data used for online purchases at its website was not affected. Sard Verbinnen & Co. representatives are listed as the contacts on Eddie Bauer statements on the matter. SVC representatives declined comment. An Eddie Bauer representative could not be immediately reached for comment. 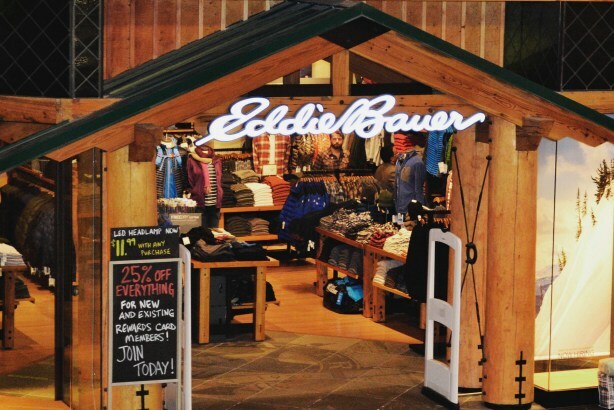 Eddie Bauer is offering one year of credit and identity monitoring services to affected customers. The retailer has also set up a FAQ page about the attack and is notifying customers by mail. In May, Sard Verbinnen sold a minority stake to San Francisco-based private equity investment firm Golden Gate Capital, which also owns Eddie Bauer. Cyber risk: Are businesses aware of internal threats?